This document makes no attempt to exhaustively cover C++ - the recommended book by Deitel and Deitel is 1300 pages long and even that is incomplete - but it does try to prepare you for your future programming work and the exams. To get the complete course material that the examination covers, make sure you read full contents of this page (with the extras), which you might not have done when you first did these exercises. The first few sections introduce just enough C++ for you to write small programs and run them. The idea is to give you the confidence to learn more yourself - like learning to snowplough as the first stage when skiing, or learning not to be scared of the water when learning to swim. Once you can compile and run programs, you can copy example source code and experiment with it to learn how it works. Like skiing and swimming, you can only learn programming by doing it. If you need more exercises like the early ones, look in the More exercises section. The later sections revisit topics, adding more detail. The C++ language and the methodologies described here will appear strange if you have never written a computer program. Don't attempt to "understand" everything from first principles. More explanation will be given later here or in the CUED Tutorial Guide to C++ Programming. For now, concentrate on learning how to use the language. The document includes some quick tests so that you can check your understanding, and some sections of extra information that you can show or hide. If you want to see all the extra sections, click on this Extras button. Use Ctrl + and Ctrl - to adjust the text size. The course comprises 6 timetabled sessions, each beginning with a mini-lecture. Work through the document at your own speed. Getting ahead of this schedule is fine, but you shouldn't fall far behind it. When you've finished exercises 1-4 get a demonstrator to mark your work (4 marks). Try to get at least that far on your first day of programming. When you've had exercises 1-4 marked, continue with the other exercises. If you don't finish exercise 5 on day 1, finish it before day 2. Contact Tim Love (tl136) for help. When you've finished exercises 5-9, get them marked (5 marks), then finish exercises 10-12 before the final marking (3 marks). If you finish early, you're strongly advised to try some More exercises. Start sessions in the DPO by clicking on the button at the top-left of the screen and then clicking on the CUED 1st Year option, then "Start 1AComputing". This will put some icons on the screen for you, and give you a folder called 1AC++Examples full of example source code. It also creates a folder called 1AComputing, a good place to store any course-related files. If you want to work from home, see our Installing C++ compilers page. In the course of this work your screen might become rather cluttered. The Window management section of the New User Guide has some useful tips. etc. To set an existing variable to a value, use an = sign. E.g. The latter line might look a bit strange at first sight, but it isn't saying that the LHS is the same as the RHS. It's an assignment - it's setting the LHS to the value of the RHS - i.e. adding 1 to num. You can create and set a variable in one line. E.g. C++ is fussy about variable names - they can't have spaces or dots in them, nor can they begin with a digit. It distinguishes between upper and lower case characters - num and Num are different variables. It's also fussy about the type of the variable - you can't put text into an integer variable, for example. Note that the numbering of the characters starts at 0.
prints out the value of the num variable. If you want to print text out, put double-quotes around it - e.g. prints hello. To end a line and start a new one, use the special symbol endl. All the examples so far have been fragments. Now you're going to write complete programs. All the C++ programs that you're likely to write will need the following framework. The Input/Output and string functionality is not actually part of the core language. To use it you need the following lines at the start of your code. In C++ a function is a runnable bit of code that has a name. The code might calculate a value (like a function in mathematics does) but it might just perform a task (like printing something to the screen). Every C++ program has a function called main. When the program is started, the main function is run first. So your program needs a main function which will look like this. Don't worry for now what this all means. Just remember that all your programs will probably need lines like these. Now we'll write a minimal program. At the moment your 1AComputing folder is nearly empty (you'll need the secretmessage file soon). Start geany and use Save as to create an empty file called program1.cc in the 1AComputing folder. 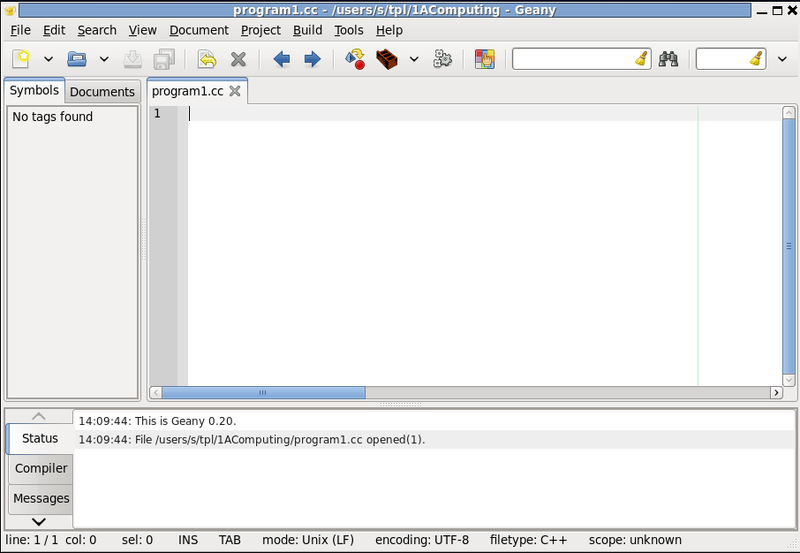 geany has lots of features to help with writing C++ programs, including an editor. Type (or copy-paste) the following text into it. It's a complete program with some initial setting-up lines and a main function containing some code. Note that // and anything after it on a line is ignored by the compiler - you can add comments to your programs this way to remind yourself about how they work. In the Build menu, choose the Build option (or use the icon). This will try to compile your code. If you've made no typing mistakes then you'll see "Compilation finished successfully" and a file called program1 will be created, which is in a form that the computer's chip can understand. You'll be able to click on the icon to run this program. If it prints out i has the value 3 you've produced your first program! shows line numbers but those line numbers aren't in the C++ source file. Though the compiler doesn't care about the layout, you should make your code easy to read by copying the layout style of the provided code. In particular, use indentation consistently. You may not get everything right first time. Don't be worried by the number of error messages - the compiler is trying to give as much help as it can. You can get a lot of error messages from one mistake so just look at the first error message. Clicking on the error message in geany will move the editor's cursor to the corresponding line. Often, the compiler will report that the error is in a line just after where the mistake is. If you cannot spot the mistake straight away, look at the lines immediately preceding the reported line. Don't panic. All you can do is look at the first line number that's mentioned in the list of errors, and study that line of code. When you think you've identified the trouble, correct it, save the file and build again. Even if your code is legal and builds without error, your code may do the wrong thing - perhaps because you've put a '+' instead of a '-'. One of the most effective things to do in this situation is to use cout to print out the values of certain variables to help you diagnose where the problem is. Don't just passively stare at your code - make it print out clues for you. Many common bugs are explained on our C++ Frequently Asked Questions page. Look there first before asking a demonstrator for help. Many more tips are in the Troubleshooting section. Use cin (short for "console input") to get values from the keyboard into variables. Before each thing you input you need to have >>. The variables need to be created beforehand. E.g. will wait for the user to type something (they have to press the Return key after). If they type an integer, it will be stored in the num variable. You now know enough to write your own programs. Use geany's "New" option to create a new file. Save it as adding.cc in your 1AComputing folder. You're going to write a program that prints the sum of 2 integers typed in by the user. Write the code to do this now. == (meaning 'is equal to'). but many compilers won't say anything. Train yourself to use == when making comparisons (some languages use 3 equals signs so count your blessings). Be careful to avoid mixed-type comparisons - if you compare a floating point number with an integer the equality tests may not work as expected. You can use else in combination with if - e.g. You can combine comparisons using boolean logic. Suppose you want to run a line of code if num is between 3 and 5. The following doesn't work as expected though the compiler won't complain! As well as and, the C++ language understands or and not. Use + (add), - (subtract), * (multiply), / (divide), and % (modulus - i.e. getting the remainder in integer division). Note that there's no operator for exponentiation (in particular, 3^2 doesn't produce 9). The order of execution of mathematical operations is governed by rules of precedence similar to those of algebraic expressions. Parentheses are always evaluated first, followed by multiplication, division and modulus operations. Addition and subtraction are last. The best thing, however, is to use parentheses (brackets) instead of trying to remember the rules. You can't omit * the way you can with algebra. For example you have to use 2*y to find out what 2 times y is. 2y is illegal. result is assigned the integer value 3 because in C++, arithmetic performed purely with integers produces an integer as output. If at least one of the numbers is a real, the result will be a real. This explains why later in this document you'll sometimes see 2.0 being used instead of 2 - it forces real division to be done. When the computer runs this particular while loop, it continues printing num and adding one to it while num is less than 11, so it prints the integers from 1 to 10. The indentation of the lines isn't necessary, but it makes the code easier for humans to read, and helps you match up opening and closing braces. When you write a loop, always make sure that it will eventually stop cycling round, otherwise your program might appear to "freeze". Without the num=num+1 line in this example, num would always be 1 and the loop would cycle forever. If your program does get stuck in a loop like this, use geany's button to kill the program. Use geany's "New" option to create a new file. Save it as timestable.cc in your 1AComputing folder. You're going to use a while loop to print out the first 10 entries in the 6 times table - i.e. If you put the while loop example inside a main routine like the one above, your program will nearly be finished - all you need to do is change the cout line so that it not only prints the variable that goes from 1 to 10, but the rest of the line too. Some of the rest of the line doesn't change. 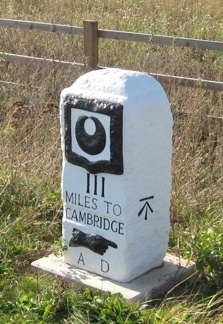 The final number does, but it can be expressed in terms of the first number on the line. As we mentioned earlier, in C++ a function is a runnable bit of code that has a name. Most programs have many functions. Now you're going to write your own ones. First we'll produce a times table (the 7 times table this time) using functions. Here's a function called timesBy7 that multiplies its input by 7. Conceptually, C++ functions are rather like maths functions or functions on your calculator. You can think of them as generating output from their input. They might need 1 number as input (like the square root function) or several, or none. Note that in C++, functions are said to "return" their output back to the thing that asked for them. They can return one thing or nothing. Execution of the function code ends when a return statement is reached, or when the function code ends. The first line of the function above is compact and contains a lot of information. int - this is saying that the function is going to calculate an integer value rather than (say) a string. (int number) - this is saying that timesBy7 needs to be given an integer as input, and inside this function the integer is going to be known as number. Some functions don't need any inputs. Other functions might need many inputs. This function needs exactly one integer. 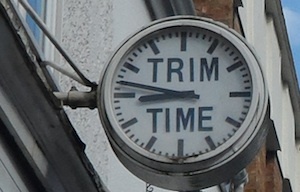 Note that the timesBy7 function appears in the file before it's called. That's because the C++ compiler doesn't like calling a function if it doesn't know about it first. In fact, it doesn't need to know everything about the function, just the information contained on its first line. That first line can be used by itself (with a semi-colon at the end) to "summarise" the function. It's called a prototype. It's often convenient to have the function prototypes at the top of the file, and the full function code elsewhere so that's the style we'll adopt from now on. In the main function below we set i to 0, 1, ... 10 checking each time to see if i is even. The code uses if and else which are quite easy to understand, I hope. You can read the "if" line as saying "if i is even, then do ...". This code fragment assumes that C++ has a function called is_even which returns true or false. Read through the code until you understand it. 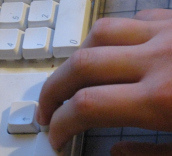 Don't hesitate to trace your finger along the route the computer takes through the code, keeping a note of what value i has. Self Test 1 - How many times is the "i=i+1;" line reached? Unfortunately there's no function called is_even so we'll have to write it ourselves. We could do it many ways. Here we'll use the % operator, which gives us the remainder after integer division. If we do number%2 and the answer is 0, 2 divides exactly into the number, so the number is even. We want the is_even function to give us a true/false answer. In C++ there's a type of variable called bool (short for Boolean) which can store such answers. Here's the is_even function. The declaration of the function above the main program. The declaration (also known as the prototype) tells the compiler about the function and the type of data it requires and will return on completion. Note that the declaration doesn't make the code run. The function call in the main body of the program determines when to branch to the function and how to return the value of the data computed back to the main program. Note that when you call a function you don't mention datatypes (like int, bool, etc) - you don't write is_even(int i) to call the function. The definition of the function. The definition consists of a header which specifies how the function will interface with the main program and a body which lists the statements to be executed when the function is called. The animation's green arrow starts in the main routine at the stop sign and goes round and round the loop. It jumps to and from the is_even function. Inside that routine it sometimes follows the if route and sometimes the else route, depending on whether the number is even or odd. Don't worry if you can't keep up with the animation. The important thing to realise is that the code isn't simply run from top of the file to the bottom - some lines are run many times. It's also worth noting that the i variable exists only in the main function - that's why it keeps appearing and disappearing at the top of the animation. It's described as a local variable. When you create a function, don't give it a name that's already in use. Don't, for example, call it int because that's part of the C++ language. Don't call it something general (like vector, or max) because C++ often uses such names internally. Function definitions can't be nested. In the example code above, for example, the main function has to be finished with a final curly bracket before the is_even function can be started. See the C++ Tutorial Guide for more information. Adapt the previous example so that instead of identifying even numbers it identifies multiples of 4. Give the function a sensible name. Call the program multiplesof4.cc. Be careful when using arrays - if you create an array of 5 elements but you use 6 elements, you're using memory that you haven't asked for, memory that might be being used by something else. A crash is likely. How many variables are used? to the top of your file. Then you can do the following to get a line of text from a file (in this case a file called secretmessage) and put it into a string (in this case called message). ifstream fin; // a variable used for storing info about a file. // any name would do. This code includes a check to see if the file exists. There are many other file-reading facilities, but that's all you'll need for now. The functions we've seen so far have 0 or 1 input values and 1 output value, but C++ is more flexible than that. where the void word means that nothing is returned. needs to be given 2 floating point numbers. It returns a floating point number too. The variables created in a function can only be used in that function - they're local variables. If you have "int i;" in your main function and another "int i;" in another function the 2 i variables will be independent. Are they created at the right time? Do they have the right initial value? Are they sensibly named? Are you clear about what each variable's for and what its contents represent? Do you have a main function? Does it begin with int main()? Have you #included the right files? Do you have using namespace std;? You can create variables outside of functions, but is all your code inside functions? Do you know when one function ends and another begins? Do all your blocks of code (in while loops, if .. else constructions, etc) start and end where they're meant to? Have you put any comments in your code? Do they have the right inputs and outputs? Does the prototype's input/output specification match the function code's specification? Are you calling the function? How do you know? (add cout commands). Remember that when you call a function you need brackets after the name even if the function requires no input values. If you're using random numbers are you calling srandom exactly once? Do your loops go round forever? Did you remember that the 1st item in an array has an index of 0? Are you mixing up = and ==? Are you using semi-colons correctly? if and while need to be followed by a condition in brackets. Have you added the brackets? If the code's not compiling, make it compile by removing (or commenting-out) problematic lines until it does. Then restore a line or 2 at a time. Re-build after each addition. Print out some variables to see if the code is behaving. If you've changed your code but your program's behaviour hasn't changed, maybe you haven't created a new version of the program. Remember, the Compile button doesn't create a new program, but the Build menu item does - F9 is a short-cut for it. When the code runs but does the wrong thing, do a dry run - run through the code on paper as if you were the computer, keeping a note of variables' values, and checking that the correct route is taken through the program. In your 1AComputing folder there's a file called "secretmessage". Your mission is to write a program called decode.cc to decode the contents of this file. It contains a single line of text that's been encoded using a simple shifting algorithm where each letter has been replaced by the letter N places before it in the alphabet (Z being treated as the letter before A). Spaces haven't been encoded, and there's no punctuation. Just try to decode the message, determining the appropriate N by trial and error. The message is in upper-case letters. Break the task into stages, checking as you go. Complete each stage before starting the next. Using the code in the previous section, read the message in from the file into a string using getline (the message is only one line long). Display the encoded message on your screen. Create an integer N (the amount the characters have been shifted by) and set it to a value. For now, let's just guess the number 7. // While we're not at the end of the string, get the next character. Each character is represented in the computer as an integer, so you're allowed to perform arithmetic on the value. Inside the while loop, process each character c.
If the character is not a space, set c to be c plus N. If the resulting character is more than 'Z' (i.e, if (c > 'Z')), subtract 26 from c so that the letter cycles round. Print the resulting c out. Restructure the code to make it neater. This is something developers often have to do - re-engineer their work so that it does the same as before, but in a tidier way. Rather than have one big function you're going to split your code into 2 shorter functions - decode_and_print and main. Write the prototype for a function called decode_and_print that takes the coded message and N as its input parameters, and doesn't return anything. Write the decode_and_print function definition using the lines you've already written. Its job is just to print the decoded message, not read from the file. Call decode_and_print from your main function to shift the characters in the string by 7. You should get the same result as before! Now change the main routine so that it tries decoding with N=1, then N=2 up to N=25, printing the decoded message each time. Do this using a loop. Determine the N that works for your message. When you've completed programs 1 to 4 get them marked. Make sure that you have restructured the code - a single 40-line main function isn't good enough. Create a file with some words in it - just a few words initially, several per line if you want. This file needs to be in the same folder as your program. Remember to save the file. fileInput.open("filename"); // this tries to open a file called "filename"
Check that this works as expected before going on to the next stage. You'll need to write a main function to contain this code, and include some files at the top. If you want to know how this works in more detail, read a book or ask a demonstrator. Create an array of variables called frequency to store the frequencies. Easiest is to arrange things so that frequency is used to store the number of words of length 1, frequency is used to store the number of words of length 2, etc. Initialise these variables to 0. Change your code in the while loop so that 1 is added to the appropriate variable each time you've read in a word and found its length. For example, if the length of a word is 3 you'll need to add 1 to frequency. More generally, if the word length is len, you need to add 1 to frequency[len]. Once all the words have been read, this array of variables will hold the final frequency counts. When you have this working with a little file of words, try it with a bigger file - you could even try downloading something from Project Gutenberg. What are you going to do if len is more than the number of elements in the frequency array? If you haven't got the hang of using arrays to store how many times things happen, read the I don't understand how count things and store the frequencies in an array item. By putting extra lines at the top of your file you gain access to further functions that have already been written. Here are some examples. With this you can use maths routines - sin(x) (which uses radians); pow(x,y) (which raises x to the power y), sqrt(x), etc. so that you get a different sequence of random numbers each time you run the program. Don't call srandom more than once. Each time the function random() is called, it will return a random positive integer (in the range 0 to 32767 or so). Work out what the following function does and how it works. You'll be using this code later, so if you've any doubts about what this code does, write a main function that calls it, add some cout statements to print useful variables out, then build and execute the code. We've already mentioned that there are several types of C++ variables: int for integers, float for floating point numbers, char for characters and bool for booleans (true or false). There are also doubles (which are floating point numbers too, but potentially more accurate than floats) and longs (which store integers that might be too big or small to fit into an int variable). You can also declare that variables will only store non-negative values by using the unsigned keyword. For example, unsigned int height; creates a variable whose contents won't be negative. size_t is a datatype used by many C++ routines when a non-negative integer is being used (e.g. for the length of a string). C++ is quite strict about types. What does the following program print out? Computers usually store floating point numbers using a base 2 representation. Just as 1/3 can't be expressed in base 10 using a finite number of digits, so there are many numbers that computers can't accurately store in base 2 using a few bytes. The next exercise illustrates the difficulties. In maths, x*11 -x*10 will always be x. Will the result be the same on computers? In a main function create a floating point variable called number and set it to 0.1. Create a loop that will run 20 times. Inside the loop, reset number so that it becomes 11 times itself minus 1, then print out the number and how many times the loop's been executed - e.g. Change number so that it's a double. Recompile and re-run the program, recording the results. Finally, initialise number to 0.5 and reset it so that it becomes 11 times itself minus 5. Recompile and re-run. Try to explain these findings (there'll be more about this issue later). (look up "Buffon's needle" for the theory). 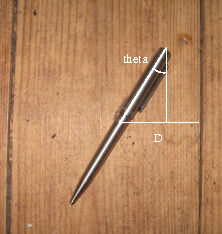 The pen will hit a crack (an edge of a floorboard) if the closest distance (D) from the pen's centre to a line is less than or equal to 0.5 times sin(theta), where theta is the angle between the pen and the cracks. This gives us the chance to do a simulation (a common task in engineering). Don't try to write the complete program before trying to build it. Take it stage by stage, compiling and testing as you go. returning true if it touches a crack in the floor and false otherwise. These expressions use variables made available by the inclusion of cstdlib and cmath, namely RAND_MAX (the biggest integer that the random routine produces), and M_PI (the value of pi). Create a variable D and set it to (0.5* random())/RAND_MAX (a random number between 0 and 0.5). Using D and sin(angleinradians) you can now work out whether the pen lands on a crack. Add a main routine that calls your function. Before you call the function, call srandom(time(0)) once to initialise the random number generator (remember, you'll need #include <cstdlib> at the top of the file to access these random number routines). Use a while loop to call dropthepen 10 times. Does the function seem to be working ok? How many times do you expect the pen to touch a crack? If it touches 0 or 10 times, your code is probably wrong. Before the while loop, create a variable (numberOfHits, say) to store the number of times the pen crosses a crack. Initialise it appropriately. Inside the while loop, add 1 to it when the dropthepen function returns true. After the while loop, write the code to estimate pi. If pi comes out to 3, make sure you're using 2.0 rather than 2 when calculating (when you divide an int by an int in C++, you get an int. By involving a floating point number in the calculations,floating point arithmetic will be performed). Now do 10,000 runs. You should get a more accurate answer for pi. Your program is likely to have the following layout - some included files, a prototype and 2 functions. You're playing Monopoly (if you don't know the game or where the hotels are, read the notes). First the good news - you've landed on GO so you get £200. Now the bad news - there are 5 hotels along the first side of the board and you own none of them. What chance do you have of reaching the 2nd side without landing on any of the hotels? What's the most likely number of hotels that you'll land on? You could solve this using probability theory. We're going to do it "by experiment", writing a program called monopoly.cc to run 10,000 simulations. Whenever you have a non-trivial program to write, think about how it can be broken down into stages, and how you can check each stage. You'll need to add prototypes for RollDie and Roll2Dice too. Write a function to simulate a single user's attempt to get past the hotels. Call it runTheGauntlet unless you can think of a better name. It won't need any inputs, but it needs to return the number of hotels landed upon. Think first about your strategy in words, then express that strategy using C++. It helps to have a variable (called location, say) that records where you are. First set a counter hotelsVisited to 0. You need to keep rolling the dice until you've gone past the 9th square (so use a while loop). Each time you move, check to see whether you've landed on a hotel. If you have, add 1 to hotelsVisited. At the end of the function return hotelsVisited. Test this function - run it from the main function a few times and print the outcome to see if the results are reasonable. The latter isn't illegal but it doesn't do what you might expect. in a loop. You don't want to print each outcome but you do want to store how many times no hotels were landed on, how many times only 1 hotel was landed on, etc. Create an array called frequency to store the results. frequency will contain the number of runs when no hotels were landed upon, so for each run when no hotels are landed on you need to add 1 to this value. When you've done all the runs, frequency will contain the final value. You need to deal similarly with the other elements of the array. How many elements will this array need? What should the initial value of each element be? Using a loop, print the summary of results on the screen. setw - this lets you set the minimum number of characters produced by the next piece of output. Note: On each turn in Monopoly, 2 dice are thrown and their sum used to determine how far a player's counter moves. If the GO square is counted as position 0, then the hotels are located on positions 1, 3, 6, 8 and 9 along the first side. In the Cambridge Edition of Monopoly, the properties along the first edge are (in order) "Histon Road", "Parker's Piece", "Hills Road", "Cheddars Lane" and "Bateman Street". As an extra challenge you could find out which property you are most likely to land on, or the consequences of adding the rule that rolling 3 consecutive doubles puts you in jail. But it doesn't work as we wanted - the i in main doesn't change. Run it if you're not convinced. The problem is that main's i is a different variable to the i in triple - each is a variable that's local to the function it's in. That the 2 variables have the same name is a coincidence (if the i variable in the triple function were renamed, the code would work just as well). The only link between the 2 variables is that when triple is called, triple's i gets its initial value from main's i - i is being passed "by value". If we want to change main's i we need to "call by reference" - note the added ampersands in the following code. When a variable is passed using "call by value", the function is given the variable's value. The function doesn't know what the original variable was, so the function can't change it. When a variable is passed using "call by reference" the function can "refer to" the original variable, so it can be changed. Why is "call by reference" useful? One reason is that it lets functions "return" more than one value. If, for example, you write a function that has 3 input parameters that are passed "by reference", the function can change all 3 of them, and those changes will be visible outside the function. Increment/decrement - there are shortcuts to changing a variable's value. continue - this breaks out of the current cycle and starts the next one. The best way to understand these commands is to see them in action. If you run this program, what would it print out? If you're not sure, run it and see! Another way to do looping is to use a for loop. Earlier we had this while loop. "for" loops are more common than while loops (people like having the "loop-controlling" code together) so you'll have to get used to them. Try the "for" loop teaching aid to get some practise and try re-writing some of the earlier exercises using for loops instead of while loops. C++'s for loop is very flexible. The "loop variable" doesn't need to start at 1, nor do you need to add 1 to it each time you go round the loop. For example, the following code prints 11, 10 ... 1. An array can be passed to a function as an input parameter. Arrays are always "passed by reference". Here's an example. // Note that the numbers in the array have changed. You can "nest" ifs. In the following code, the 2nd if line is only reached if num < 5 is true. Follow the route that the execution of this code takes when num is 6, then 4, then 2. When i is 0, the "case 0" block is run. In this situation the break doesn't break out of the surrounding while loop, it breaks out of the switch. Without the break, execution would "fall through" into the case 1 block. Try to work out what happens in this code before running it. What does it print out? If you decide to quit from the program completely , use exit(1); (in the main function, return will do this, but it's a special case. For this to work you need #include <cstdlib> at the top of your file. The scope of a variable is the region of code from which a variable can be accessed. Variables created in a function or a loop generally cease to exist when the loop or function ends. Furthermore, variables inside one function can't be accessed from another function. This feature helps you write safer code. If you create a variable at the top of a file outside of all functions, it will be available to all of your functions all the time. These so-called global variables are best avoided. The following code fragment shows how to set p's component fields to values. Design a data structure using class to contain a number and a name (how many elements should the structure contain? What types should they be? You can store the number in a string or an int - the latter leads to more work). Create an array of these data structures. If you've called the array directory the beginning of the array would look rather like the diagram. The array needs to be big enough to store all the entries. Write some code that reads the information from the file and stores it in the appropriate place in the array (the information from the first line into the array's first component, and so on). Make sure that you don't try to store more lines of data than you have space for in your array. At the end, after all the information has been stored, visually check that the information that's finally in the array matches the data in the file by printing out the information that is in the array. The "while" loop will end as soon as the getline function returns false (i.e. when it couldn't read a line in because it had reached the end of the file). Extracting the phone number and name from that string will require some work that you can test separately. You may need to read the More about Strings section again. When you store the name, don't store the double-quotes. "terminate called after throwing an instance of 'std::out_of_range'" is usually caused by trying to make substr read beyond the end of a string. A method to convert strings to integers is on CUED C++ Frequently Asked Questions page. It uses features you've not been taught. When you've completed the exercise, get a demonstrator to mark your last 5 programs. You may sometimes want to access the individual bits of a byte. You'll need to do so when programming robots in the 2nd year, and questions about bits are often in 1st year exams. 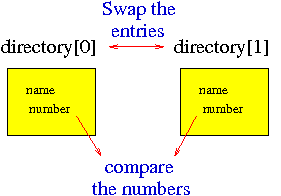 A byte contains 8 bits, each of which can be off or on (a binary digit - 0 or 1). The program below shows how to display the bits of a byte. It uses the & (aka bitand) operator, which performs a bit-wise and with the 2 operands (there's also a | (aka bitor) operator, which performs a bit-wise or). It goes through the bits of the byte called num checking the value of each bit (most significant first) and printing it out, so that in the end you get a binary represention of the decimal number 43. As you can see, for natural numbers there's an obvious way to store the value - as binary. It's not so obvious how to deal with negative integers - see Wikipedia's Two's complement page for details. And there's always the problem that int values are usually stored in 4 bytes, so there's a limit how accurately you can store integers. There's sometimes a long long type available, which uses 8 bytes but that still won't give you unlimited range. Those values in base 10 are 0, 0, 44, 66. How do those relate to the real number 43? It's all described in the IEEE 754 specification. If you try the IEEE 754 Converter you'll get the idea. One bit denotes the sign, 8 bits represent the exponent (using 2 as the base) and the other bits represent the mantissa (the value). You need to be aware of the consequences of such a format; namely that there are limits to the range and accuracy of the numbers. Just as 1/3 can't be represented in base 10, so 0.1 can't be precisely represented in base 2. So be careful when you use real numbers! See Floating-point Basics for more information. (remember, element indexing begins at zero). Alternatively we could use enumerations. Month is a new variable type whose only legal values are Jan, Feb ... Dec. These values are just aliases for 0,1 ... 11, but they're easier for humans to read. to the top of your file. To illustrate writing to files, we'll write the values of the month array (one value per line) into a file called myData. Notice that the line that writes to the file is similar to the use of the cout command when writing on the screen - you just replace cout by the name of the ofstream (which in this example is fileOut). ofstream fileOut;  // create a variable called 'fileOut'  to store info about a file. The good() function of an ofstream variable returns false if the last file operation failed. and will print out i is 3 even though i is 0. Why? Well, the if(i==3) code is an incomplete construction. It expects a statement after it, and in this context a semi-colon is a null-statement. The following layout shows more clearly what happens. See the I'm confused about commas and semi-colons frequently-asked-question for details. This exercise introduces no new programming concepts - it's practise at using loops and comparisons, converting ideas expressed in English into a program written in C++. Using the ideas from the talk (or the web - try Wikipedia), write a program that uses the bubble sort algorithm to sort the phone directory created in the previous exercise (you may as well start this exercise by copying the code from exercise 9 - you need only add about 10 lines to it to finish this exercise). Sort by the phone numbers, smallest first (or if you've stored the numbers as strings, sort them in alphabetical order - you can compare strings alphabetically using < or >). Keep comparing the numbers in neighbouring entries, swapping the complete entries if they're in the wrong order. While developing the program it might help to print the values in the list after each pass, to see if the correct entries are being swapped. How many passes are needed in the worst case? Ideally, your program should stop scanning the values once they're all in the right order, but that's not a requirement. Just ensure that you do sufficient passes to cope with the worst case. You'll need to be careful when swapping entries. Consider this little program that tries to swap integers (you'll be swapping phone directory entries, but the same problem arises). This doesn't work. If you dry-run through it you'll find that both a and b have the value 2 at the end. You'll need to create an extra, temporary variable. You can add the extra code to your main or create a separate function. If you have created an entry class to contain a person's information, and you created an array of entrys called directory then the following might be a reasonable prototype if you want the put the bubblesort code into a function. Note that though you need to compare the "number" fields of the entries, you can swap complete entries - you needn't separately swap the number and name fields. Another revision exercise. Don't start this until you're sure that bubblesort works. You could start by copying the code from exercise 10. Write a program that asks the user to type in a number. If that number is in the phone directory you've created earlier, the program should print the corresponding name. If the number isn't in the directory, the program should print a suitable message. Use the binary search method (so you'll need to sort the items first). Look at the value of the middle item in the list, compare that to the value you're seeking and decide which half of the list you're going to repeat the process in. You might find it useful to create variables (low and high for example) to store where in the array the ends of the current section are, updating one of them each time you reduce the section. Keep going until you've found the item or you can't search any further. While you're developing the program it might be useful to print out low and high each time you change them. Test the function, making sure it does something sensible when asked to look for a number that doesn't exist. So far your programs have taken minutes to write and milliseconds to run, so optimising wasn't crucial. Before long however, you'll be writing programs where efficiency matters. For functions like searching and sorting that process lots of data there are vast differences between the efficiency of the algorithms - pick the wrong one and your program will run for days rather than minutes. It's important to determine how the time taken depends on the amount of data, n. If the association's linear, then doubling the amount of data will double the program time. Sadly however, many of the methods that are easy to write have times proportional to the square of the data size. Even if your bubble sort can sort 10 numbers quickly, sorting a 1,000 will take 10,000 times longer. One way to express the efficiency of an algorithm (its Algorithmic Complexity) is to use "Big-O" notation. An O(1) algorithm's time doesn't depend on the amount of data, an O(n) algorithm scales linearly, an O(n2) algorithm quadratically, and so on. "Big-O" notation indicates the order of magnitude of the performance, so constants aren't put in the brackets. It usually describes worst-case behaviour. The efficiency of an algorithm can be deduced by studying the code. That's not always trivial, but here's a simple example. By considering how many times each loop is executed (note that one loop is nested inside the other) you should be able to deduce how many times the assignment statement is run and hence the order of this task. Then look at your binary search code (or just think about the algorithm) and work out its order (hint - it's not O(n) like a naive search would be. Think about the effect of doubling the amount of data). The C++ standard library has a built-in function to sort items, which often uses the quicksort algorithm. We'll investigate how the time taken to sort items depends on n, the number of items. Is the time proportional to n? n2? The claim for the built-in function is that it's O(n*log(n)) (natural logs, but it doesn't really matter). We'll determine by experiment whether this is true, then compare that to the speed of your bubble sort code. Timing - We've provided a routine you can use to time parts of your programs. It returns the number of microseconds that have elapsed since 1st Jan 1970. Don't worry about how it works. vector - C++'s vector is a more sophisticated version of an array. You'll be using it in the 2nd year. We're using it here because it makes the code simpler. You won't need to change any of the lines that use vector in this code. Just note that you can read values from a vector just as you'd read them from an array, using square brackets. Standard functions - C++ provides functions to sort, search, shuffle, etc, so it's worth seeing how to use them rather than having to write your own functions all the time. // a column 10 characters wide. Compile and run this code. You'll see a list of unsorted numbers, a list of sorted numbers, then part of a table. Make sure that you understand the flow of the code before proceeding. Note that microseconds() isn't used yet - you'll need it later. If you don't know what long means, re-read the Standard data types section. Using an appropriately placed for loop add a completed line of data to the table for lengths of 100, 1000, etc up to 10,000,000. Which length has the smallest time-per-element value? Is the time proportional to n*log(n)? Instead of working out Time/(n*log(n)), calculate Time/(n*n) (because the speed of bubble sort is supposed to be proportional to n2). You'll find that bubblesort is much slower than sort, so don't sort an array any bigger than 10,000 items. Run the program and look at the results. Is the performance of bubblesort close to the predictions? Can you think of any reason for ever using bubblesort? Finally, change the code so that the table is written into a file called "ex12table". We'll be checking to see that you've produced the file, so don't delete it afterwards. The early exercises here could be done during the course to re-enforce your understanding of basic concepts. The later exercises might be useful after the course to help you prepare for next term. Rewrite all the earlier exercises that used while loops so that they use for loops instead. Invent a class called fraction suitable for storing a vulgar fraction. Write a function that given a variable of type fraction prints out the value in the form a/b. Write a function that given 2 variable of type fraction prints out their sum. Write a function that prints the primes less than 100. Use for loops rather than while loops. Write a function that given an integer prints out its prime factors. Use for loops rather than while loops. By trial and error, find all the Pythagorean triples where the integers are less than 100 (a,b,c is a Pythagorean triple if a*a + b*b == c*c). It's easy to eliminate duplicates (4 3 5 is a duplicate of 3 4 5 ). It's rather harder to eliminate multiples (e.g. 6 8 10 is a multiple of 3 4 5), but the whole program should be less than 20 lines long. Pick a number. If it's even, divide by 2. If it's odd multiply by 3 and add 1. Continue this until you reach 1. E.g. if you start with 3, the sequence will be 3-10-5-16-8-4-2-1. Write a program to find out which integer less than 100 produces the longest chain. Ask the user to type an integer in the range 1 to 7 inclusive. If the user types something invalid, ask them to try again. Keep asking until they type a valid number. Then print the day of the week corresponding to the number - print "Sunday" if the user types 1, etc. The zeta function, zeta(s), can be evaluated by summing terms of the form 1/is for i running from 1 to infinity. It can also be evaluated by multiplying terms of the form (1/(1-1/ps)) where p runs through all the primes. See how true this is for series of 10 terms then 100 terms. Simulate a situation where you keep asking different people their birthdays until you find 2 people with the same birthday. Assume all years have 365 days. Make the code into a function so that you can run it many times and find an average for the number of people you need to ask. Big numbers are often printed with commas after every 3 digits, counting from the right - e.g. 1,345,197. Write a function which is given a float and prints out the number with commas. You'll need to find out how to convert numbers to strings - use the WWW! Create an array to represent an 8x8 chessboard. In chess a Bishop can move as far as it likes along diagonals. Write a program to count the number of places a Bishop can move to for a particular starting position. From which starting positions does it have the greatest choice of moves? In chess, a knight moves in an 'L' shape (2 squares along a row or column, then one square left or right). Write a program to count the number of places a Knight can move to for a particular starting position. Starting at any square on a chessboard, move the knight randomly, and keep moving until it lands on a square it's already visited. How many moves does it do on average? There are many variants of "Poker Dice" - YahtzeeTM for example. The player rolls 5 dice, keeps as many as they want, rolls the remaining ones, keeps as many of those as they want, then rolls again. The aim is to get particular combinations of die-values. To keep things simple we're just going to collect 6s. The chance of throwing 5 6s in the first roll is 1 in 65. Using the rolls as described above, what's the chance of having 5 6s at the end of the 3 rolls? We'll determine the answer experimentally, running 100,000 attempts. Here is the code for most of the main routine. From this, work out the prototype of the fiveSixesThrown function, then write the function (use the RollDie function that you've already used). Think about the variables that the function might need - I used totalNumberOfSixes, numberOfDiceLeft, and thisRollNumberOfSixes, but it's up to you. Write a program that simulates the rolling of 10 dice 10000 times. Display a frequency table of outcomes (the outcome being the sum of the 10 dice) - e.g.